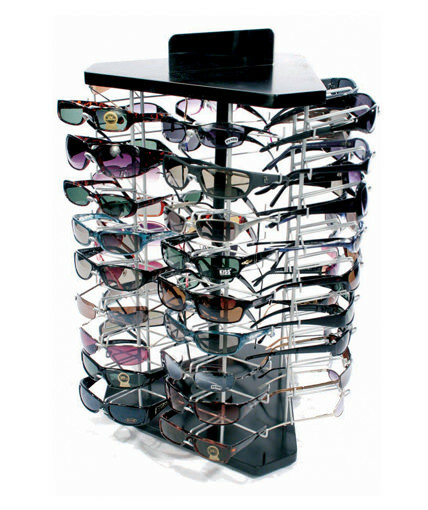 Our SU-36LINK is our top-of-the line table top sunglass display. 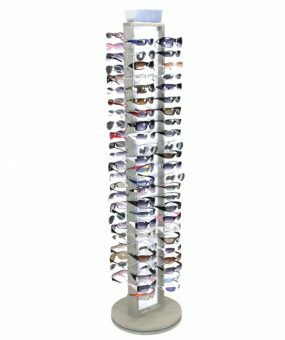 The only countertop sunglass rack in our signature LINK SERIES, this stylish counter spinner holds 36 glasses and features 2 full-length acrylic mirrors. The SU-36LINK includes a shiny silver frame, anodized aluminum panels, chrome nosepieces, and an MDF base with a black finish. 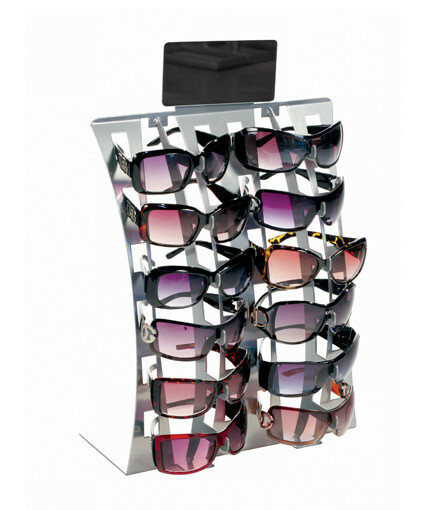 The SU-36LINK is our best tabletop sunglass fixture for a reason. In addition to its high-end materials and quality craftsmanship, the SU-36LINK sports a premium look. 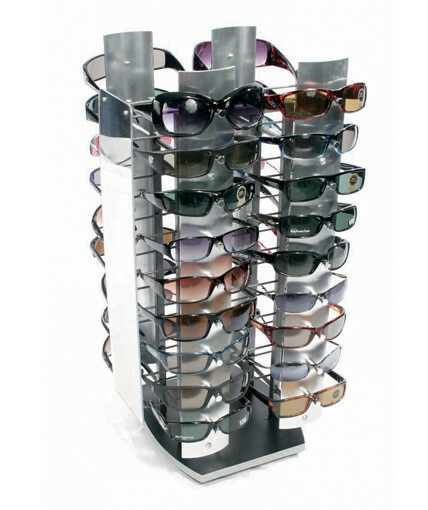 It can accommodate a wide range of frame sizes and styles, and its compact 14″ footprint makes this counter sunglass rack a logical choice for almost any retail countertop environment. 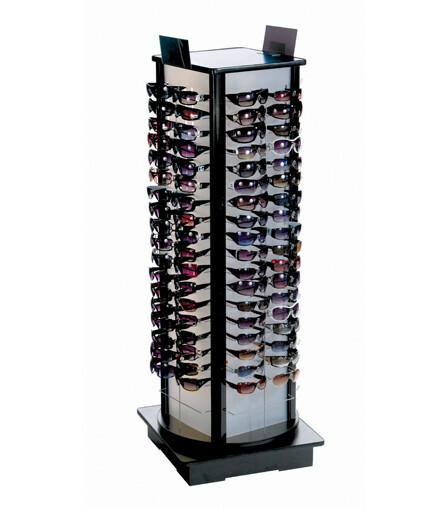 Its simple but elegant design enables this display to work in almost any store setting. The SU-36LINK puts the focus on the eyewear rather than the display. Our customers put this display in convenience stores, gift shops, airport shops, spas, specialty stores, apparel and accessory stores, and in a wide variety of other retail locations. 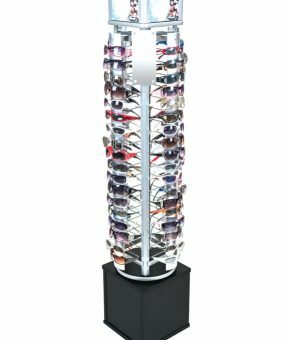 If you are looking for a retail sunglass display to increase your eyewear sales, the SU-36LINK will provide you with a strong return on investment.